Cortec has just appointed Larry Sullivan to the Cortec Sales team. Sullivan's focus will be the Petrochemical, Oil & Gas and Additives areas. Sullivan holds degrees from the University of Texas, Austin, Arizona State University, and Texas A & M University. He has had further education in engineering at Oxford University and Warwick University in the Graduate School of Business. He consulted with Cargill in vegetable oils for drilling base stock, refinery filtration with Dover's RPA and served in the SPE/IADC Program Committee. He is currently a SPE Technical Editor. Sullivan also has experience with companies including Conoco, Dresser Industries, Imperial Chemical Industries, Osmonics, Chemstar and Dover. Based at Cortec, St. Paul, Larry Sullivan can be reached at Cortec at 651-429-1100, extension 126, or at our toll free number, 800-4-CORTEC, extension 126. Pasko Vela is the new Operations Director of Quality for Cortec Corporation. 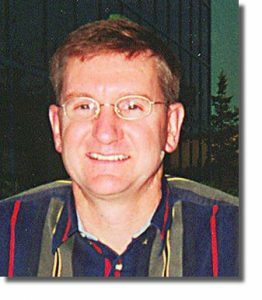 He will be in charge of all operations for Cortec's Spray Technologies division, Spooner, Wisconsin, Advanced Films division, Cambridge, Minnesota, and the manufacturing division at corporate headquarters, St. Paul, Minnesota. Vela obtained a Mechanical Engineering and Naval Architecture degree from the University of Zagreb, Zagreb, Croatia, in 1987. Vela began his career for Horn Linie, the German shipbuilder, as chief superintendent for their Croatian branch. As a member of ASQ, American Society for Quality, Vela's expertise has been in quality control and management for large corporations. Vela headed the Croatian branch of Bureau Veritas, based in Paris, from 1991 to 1993. Vela was senior executive for BVQI International, ISO 9000 Quality Management Systems registrar in Split, Croatia, from 1993 to 1996. 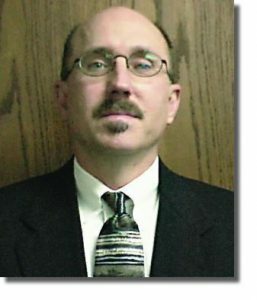 He was director of marketing, sales and operations for BVQI's north central US region from 1996 to 2000. Pasko was appointed Cortec Director in August 2000.